FreebieShark.com has teamed up with my blog and several other great Money Saving Blogs to giveaway a Kindle Fire ($199 Value)! 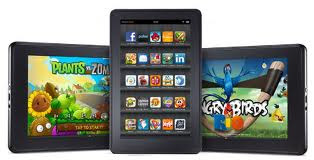 We frequently hear from our readers that they want a Kindle Fire, so why not give one away? Entering is Super Easy so be sure to enter below! The giveaway will Start Monday 1/16 at 10am EST and will run for one week, ending next Monday 1/23. The winner will be announced on Tuesday January 24! We love hearing your feedback so feel free to post a comment on what other giveaways you would like to see!